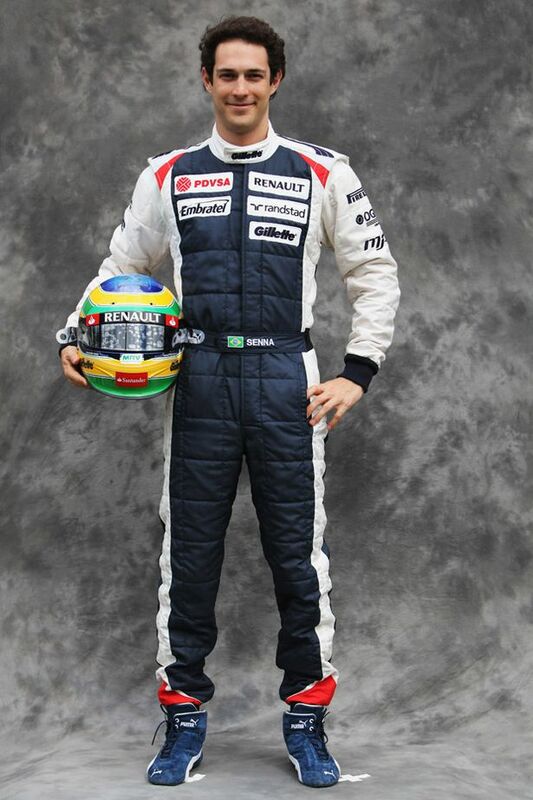 Bruno Senna Lalli (Portuguese pronunciation: [ˈbrunu ˈsenɐ], born 15 October 1983 in São Paulo) is a Brazilian Formula One racing driver and the nephew of the late three-time Formula One world champion Ayrton Senna. His mother is Ayrton's older sister, Viviane. His father, Flávio Lalli, died in a motorcycle crash in 1996. He wears a slightly modified version of his uncle's helmet. Senna made his Formula One début in 2010, driving forHispania Racing. He moved to Renault in 2011, replacing Nick Heidfeld as a driver from August of that year, and since January 2012 he is signed to the Williams team.